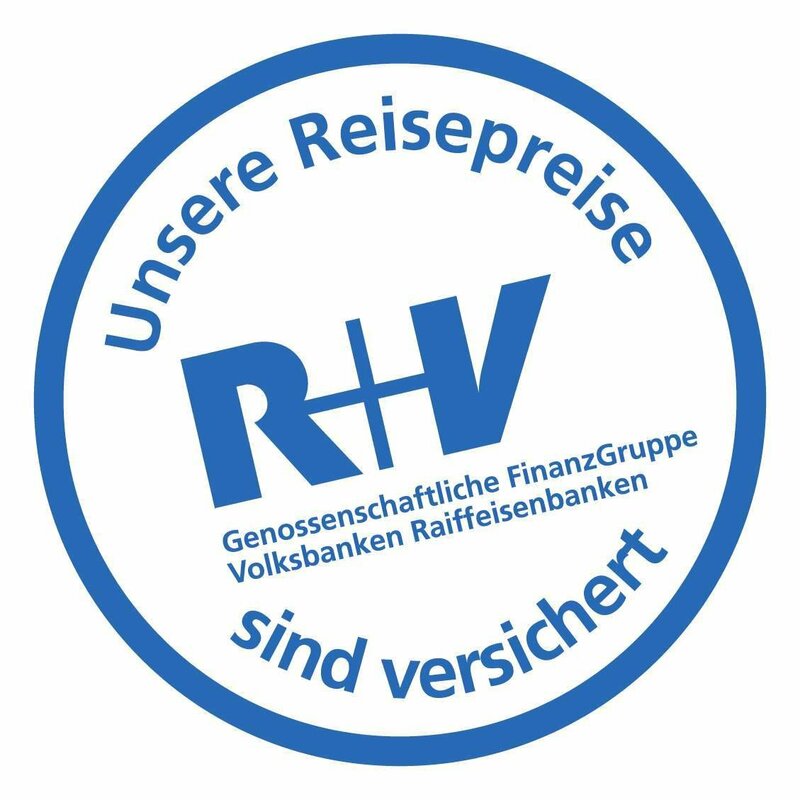 Hier gibt es die beiden kostenlosen Reisesicherungsscheine für unsere eigenen Leistungen** sowie für die Leistungen unserer verbundenen Dienstleister***, für die wir das Inkasso übernehmen und Euer erster Ansprechpartner bei Problemen aller Art sind, jedoch die Leistung nicht selbst verantworten und von daher auch nicht für diese haften. * Dies ist keine Reiserücktrittsversicherung! Here are the two free travel insurances: one for our own services** and one for the services*** of our affiliated service providers, for which are the underwriter. We are your first point of contact for problems of all kinds, but we are not responsible and therefore not liable for our affiliated service providers. Under instruction from the EU legislator, the purpose of these certificates is that in case of insolvency of the travel provider, travelers that have taken the services** or the services of the affiliated*** are protected from being stranded abroad without hotel and without transportation home. Although this legislation applies only to a limited extent to our travel offers and club stay when delivered as a package, we meet the minimum requirements to qualify as a package tour provider. Therefore, we provide insurance for the loss of hotel, loss of club visit and loss of services provided from our affiliated*** service providers and we deliver these certificates to you in accordance with the regulations BEFORE you submit payment for the trip. It is not necessary to put something in the shopping cart. The certificates are always available and can be downloaded later. If you put the "article" in the shopping cart, it will not be charged. It would just tell you that there are these certificates. * This insurance is not for cancellation or incapability to attend.